Brightcove was pleased to be a part of this year's South By Southwest Interactive conference. 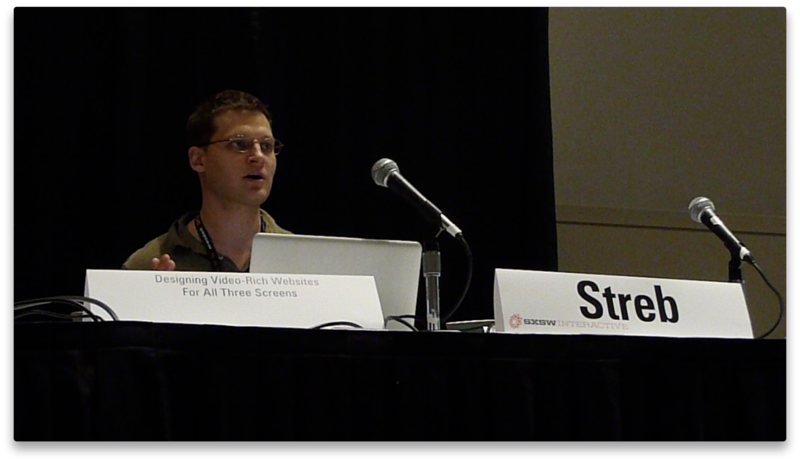 Our own Jesse Streb represented at the event with a session on Monday in the Austin Convention Center. Jesse presented as part of the Future 15 series, a new programming format that SXSW tested out this year to allow for shorter, more concise presentations grouped by themes, including Social Business, Video, and Convergence. The Brightcove session was part of the Convergence session that looked at coordinated development across the ecosystem of emerging devices like connected TVs and mobile devices.